Be a part of the 2019 GPS program. We’d love to hear from you. Reach out to David Roberts (Global Payments Director) at droberts@currency-research.com for speaking inquiries. Espen Kristensen is Managing Director Asia Pacific of Ria Financial Services, the money transfer division of Euronet Worldwide, Inc. (NASDAQ: EEFT). Espen has been an integral part of the Ria organization since 2008 when he joined the company. He oversees sales, finance and operations of Ria in Asia Pacific. He is also serving as CEO of Malaysian based money transfer company IME. Prior to his current role, Espen was Country Manager of Ria in the Nordic countries. He has gained more than 13 years of experience in positions of increasing responsibility within the money transfer industry starting in London, UK. Subsequently Espen relocated to Stockholm, Sweden when he was made responsible for operations in the Nordic countries. Espen is a Master of Laws degree holder from Bond University in Queensland, Australia focusing on e-Cash, International Trade and Advanced Commercial Negotiations. Espen is also a Master of Laws degree holder from University of Oslo, Norway. He has completed training courses within finance and marketing at BI Norwegian Business School. Espen lives with his wife and two children in Kuala Lumpur. He was relocated to Malaysia in 2013 to take part in the Due Diligence of IME that was acquired by Euronet in 2015. Geoff Tunbridge is an industry authority who leads strategic solutions consulting for ACI Worldwide. He brings two decades of payments experience in the Asia-Pacific region to his role, which includes the development and delivery of customer-centric solutions that meet the business and process needs of some of the world’s largest financial institutions. Prior to joining ACI, Geoff held senior positions at organizations including CSC, Accenture, Westpac, National Australia Bank and ANZ. Mohammad Ridzuan Abdul Aziz (Ridzuan) has over 20 years of commercially–driven regulatory, compliance and technology experiences in Malaysia and Asia-Pacific. He actively provides business-oriented regulatory advice, solution and consultancy to banks, remittance companies, fund management entities, broker dealers (equity and derivatives) as well as sovereign wealth managers on regulatory requirements, compliance risks management, licensing, business viability and practical implementation of FinTech and regulatory technology (RegTech). Ridzuan is the Country Director, Malaysia and Head of ASEAN Business for WorldRemit, one of the fastest growing global online-only remittance providers head quartered in the UK. He also the current president of the Fintech Association of Malaysia since April 2018. He was the Chief Executive Officer of Sedania As Salam Capital Sdn Bhd, a patented fintech solution provider that utilizes mobile airtime as the commodity for Tawarruq with over 40 financial institutions in Malaysia and also provides digital hub solution platform for banking digitization. Ridzuan also co-founded RHT Compliance Solutions in 2013, the first and only integrated commercial outfit providing legal, governance and financial services regulatory compliance solutions for financial institutions in Malaysia, Singapore and Jakarta. Stephen Peters is responsible for business development and client engagement for enterprise payments for financial institutions in the ASEAN region. Based in Singapore, he leads and drives client strategy in the real-time payments space for FIS. Stephen has more than 24 years' experience in the payments domain, having worked with financial institutions both in Australia and Asia. 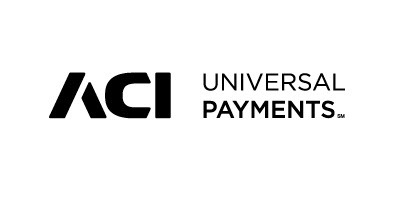 Prior to FIS, Stephen has spent more than 10 years in leading payment vendors including Clear2Pay and ACI Worldwide. At Clear2Pay, he led the team that built the world’s first payment hub and has led the implementations for several large financial institutions in Australia. He has extensive experience with the real-time schemes within Asia Pacific. Adrian Ng heads up payments go-to-market for the Asia Pacific, Middle East & Africa regions. He leads a team of experienced payments professionals to drive strategy and market deployment for payments solutions for the region. He has more than 20 years of experience in the electronic payments industry, focused on solutions for payment switching, cards, ATM, fraud management and back office systems for card issuing and acquiring. 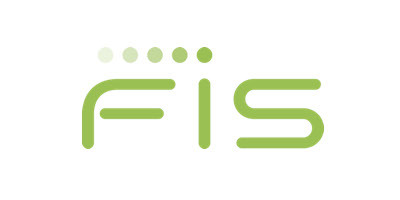 He has been with FIS for more than 8 years in senior leadership roles. Prior to undertaking this strategy role, Ng was managing all payments software delivery and outsourced projects across ASEAN & North Asia and in past roles, he was responsible for architecting integrated retail payments solutions for clients across Asia. From his client engagements, he brings a wealth of experience in the implementation of regional transaction processing systems from end-to-end, including design, development, project management, education and consultancy. Pungky Purnomo Wibowo is the Executive Director, Head of Electronification and National Payment Gateway Dept. for Bank Indonesia. He has been with Bank Indonesia for many years and had many various positions within the bank, including Director, Group of Retail Payment Systems Development and Financial Inclusion, Program Leader for the Electronification and Financial Inclusion Office, and Director of the Group of Financial Inclusion Development. He is an active member of the Financial Education Committee representating Bank Indonesia in OECD – Paris, the G20 and APEC. He is the Co-Chair on the Sub Group Regulation and Standard Setting Bodies at G20 – Global Partnership on Financial Inclusion (GPFI) and is the Co-Chair on the ASEAN Working Committee on Financial Inclusion. Rajendar Dhorkay joined MoneyGram International (MGI) as the Regional Head for Malaysia, Brunei and Indo China in Dec 2014. Raj has been instrumental in accelerating the company’s revenue drivers across the region. Prior to joining MGI, Raj has worked in Retail Financial Services for over 20 years in Asia and Africa in senior management roles. He has accumulated an exceptional working knowledge of Banking and Financial Services industry including products, clients and distribution channels, with a deep understanding of the key drivers on cross-border remittances and payments. Raj has obtained a LLB degree from University of London. Steven Wong Weng Leong is Western Union’s Regional Director for Malaysia & Brunei. A seasoned banking and financial services executive with in-depth knowledge of the industry, amassing a wealth of experience and expertise spanning more than 24 years, in both foreign and local financial services group settings. He is a growth leader who has enjoyed swift progression through an ambitious and dedicated approach to his career, providing strong and clear business leadership, as well as driving organizational processes and developing solutions to challenging business problems in a disciplined and structured way. He has developed strategic leadership and is a proven agent of change. He brings a stellar record of innovation and the passion, energy and drive to help transform organizations into more collaborative, efficient and client-focused enterprises. His vast exposure in all areas of financial services and management, wise judgment, strong relationships, people management capabilities and an ability to handle tough business and regulatory issues, allow him to grow organization franchises and drive success for the long term. His credentials include leading large teams of highly motivated individuals, using interpersonal skills to communicate vision and gaining the confidence and respect of clients and internal stakeholders. A strong communicator, coupled with regional experience in Asia, diverse management skill-sets and execution strength, he brings to the table boundless energy, an engaging personality, a warm and encouraging attitude with limitless enthusiasm in achieving results. Pete Williamson is the Senior International Liaison Manager ASEAN for Australia's financial intelligence unit AUSTRAC. Based in Kuala Lumpur at the Australian High Commission, Pete is responsible for continuing to build close cooperation between the financial intelligence units of Australia and Malaysia as well as improving the flow of financial intelligence across the ASEAN region to counter the financing of terrorism. He works closely with Bank Negara Malaysia's Financial Intelligence and Enforcement Department to co-design opportunities to share financial intelligence about terrorism financing, money laundering and other serious crimes that impact Australia, Malaysia and our other partners in the region. Prior to commencing his role in Malaysia earlier this year, Pete has held a number roles with AUSTRAC including managing Australia's leadership in international forums such as the FATF and as a senior counter terrorism financing analyst. Pete has previously managed AUSTRAC's partnership program with Indonesia's financial intelligence unit and has held other roles in AUSTRAC's international engagement, intelligence and advanced analytics areas. Pete holds a Commerce Degree from the University of Melbourne and is working on improving his Bahasa skills where he can. Bikesh is no stranger to the world of digital disruption in Southeast Asia. He is the founding partner of 1337 Ventures, Malaysia’s first Accelerator programme that has invested in over 50 innovative digital startups across diverse areas spanning gaming, social networking, education, big data, proximity marketing, wearable technology, fintech and recently social enterprises. 1337 Ventures is the mastermind behind Alpha Startups, an intensive 5-day pre-accelerator bootcamp that has helped numerous startups the likes of ParkEasy and Gigfairy that went from from idea to exit in just 12 months. Beyond helping to discover, validate and transform high-potential startups into businesses of the future, Bikesh is also actively involved in advancing the professional careers of countless others. Bikesh is the co-founder of iTrain, Southeast Asia’s leading digital technology powerhouse that has empowered over 3,000 corporate employees in advanced digital technologies, and more recently set up Asia Developer Academy (ADA), a vigorous coding school formed to teach and develop competent coders from all walks of life. The diverse experience and skills he brings is an invaluable commodity for the many entrepreneurs, corporates and professionals “playing to win" in the digital future. Mr. Loo has over 26 years of banking experience in IT, Finance, Operation, Sales and Support. He joined Standard Chartered Bank in 1992 and was involved in all their 3 generation of corporate electronic banking system requirements, developments and commercialization. He joined Maybank in 2010 and managed to grow its base from domestic to regional bank. Increased its revenue, number of client size and market share significantly within a very short tenure. He is a committee member of Maybank Group Client Experience to drive up customer expectations and changing dynamics in service. Awarded as top 20 people in Cash Management in Asia by Finance Asia. He has been an invited speaker and panellist for public events and seminars organized by The Asian Banker, Asia Money, Bank Negara Malaysia, Federation of Malaysian Manufacturers (FMM) and International Chamber of Commerce. He is customer segment solution oriented with practical experience across Operations, Client Management, Implementation, Product and Sales. His extensive network coverage across Conglomerate, Large Corporate, Local Corporate and SME sized clientele. He has consistently won Transaction Banking accolades in Cash and Trade such as Alpha SEA, Asiamoney, Corporate Treasurer and more. Vince graduated from Universiti Malaya in 1985 with a Bachelors degree in Arts & Social Science. He has more than 30 years working experience in financial services, and had worked in Malaysia , Indonesia, Philippines, Fiji Islands and Bahrain. He has sat on the Boards of MEPS Sdn Bhd, MEPS Currency Sdn Bhd and Bonuskad Loyalty Sdn Bhd and was Chairman of Malaysia’s National Cards Group and a member of the VISA Asia Pacific Marketing Council. Mr. Yip Kah Kit joined Bank Negara Malaysia in 2007. During his tenure with the Central Bank, he had served as a Legal Analyst and a Prosecuting Officer in the Legal Department. He joined the Payment Systems Policy Department in May 2013 and is responsible for developing policies to enhance the efficiency of the country’s payment systems, including to spearhead the country’s migration to e-payments. He is currently a Deputy Director at the Financial Development and Innovation Department. He also holds a Bachelor of Laws Degree from the London School of Economics and Political Science, United Kingdom. Peter Chisnall commenced as Senior Vice President, Market Development South East Asia in January 2018. Peter is responsible for driving Mastercard’s engagement with issuers, acquirers and merchants across the South East Asia region. Prior to his current role Peter spent four years running Mastercard’s business in New Zealand and the Pacific Islands. Peter has spent over fifteen years in the financial services industry across sales, marketing and customer service leadership positions, covering all market segments from Consumer, Small Business through to Corporate and Government. Prior to joining MasterCard in January 2012, Peter worked at GE Capital and Diners Club Australia including roles as Program Director, General Manager Corporate Cards and Head of Service Management. Before entering the financial services industry Peter spent ten years working for Mobil Oil in New Zealand, Australia and Singapore. Rob Walls is Head of Consumer Products & Digital Solutions, Asia Pacific. 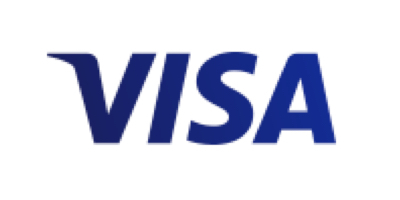 Based in Singapore, he has responsibility for Visa’s product portfolios across digital, consumer, risk, ecommerce, data and loyalty solutions, as well as Visa’s product development strategy including new partner enablement and client co-creation. Prior to his regional role, Rob spent three years as Head of Product & Digital Delivery for Visa’s Australia, New Zealand and South Pacific region. Rob has been involved in payments for over 25 years, having worked previously at Citibank, MasterCard, MoneyGram and a transaction switch since acquired by First Data. He has worked in global, regional and geographic product functions throughout his career and has a broad mix of experience across the Asia Pacific, Middle East & Africa. Rob also spent two years in New York and two years in Japan. Rob has a Bachelor of Arts from Sydney University and a Post Bachelor Degree in Applied Finance and Investment from the Australian Securities Institute. Rob and his wife Louise moved to Singapore in December 2017 and are enjoying exploring the region and cultural immersion opportunities that presents. 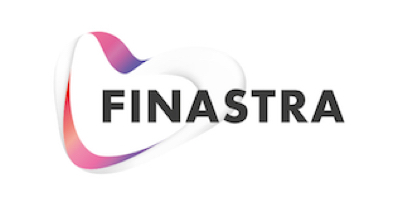 As Head of Payments – Asia Pacific, Global Consulting Solutions at Finastra, David works closely with banks, partners and industry players including central banks. He provides strategic payments advice to banks including BOC, Citibank, HSBC, Barclays, ANZ and many others across the region. He has over 25 years of experience in the payments industry. He spent 11 years at Colonial State Bank in Australia including Head of Trade Operations and over 15 years in the vendor domain, from Fundtech to D+H and now Finastra. David often speaks and participates on panels at industry events. 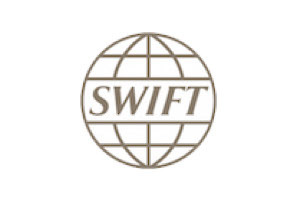 He was on the Australian SWIFT User group for 10 years and the RTGS industry group. David has a Bachelor of Science Degree (majoring in Computer Science and Mathematical Statistics) from the University of Queensland in Australia. Jarkko joined XMLdation in 2016, to lead the company’s expansion into the banking API space, and into new markets beyond Europe. 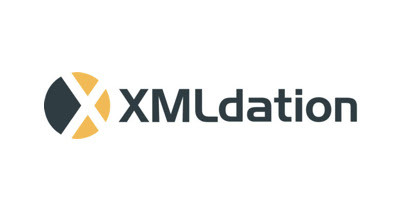 XMLdation is an emerging payments testing specialist. The company works with banks and clearinghouses that are modernising their payment systems and channels. The company’s SaaS payments testing platform reduces manual work and speeds up access to new revenue, and covers traditional bank payments (domestic, SWIFT and ISO 20022) as well as payments over APIs. Leading financial companies such as Nordea, DNB, UniCredit and AIB rely on XMLdation. XMLdation platform is used by more than 20 banks in over 50 countries. Jarkko held various leadership positions at telecommunications backoffice software specialist Comptel Oyj between 2001 and 2012. Prior to joining XMLdation, he worked at new breed innovation consultancy Futurice between 2013 and 2016, where he grew the team and business in the United Kingdom as the Managing Director of Futurice Ltd, the company’s UK subsidiary. Yogesh Sangle joined MoneyGram in 2014 and has been instrumental in accelerating the company's growth and market presence across Asia Pacific. Sangle has nearly 20 years of experience in banking and payments industry across Asian markets, together with strong domain knowledge in marketing, sales and product management coupled with expertise in online payments, digital and performance marketing. Currently he holds the position of MoneyGram’s business and revenue leader for Asia Pacific, South Asia and Middle East. Before joining MoneyGram, Yogesh Sangle spent four years at PayPal where he held the position of Asia Pacific’s regional director – consumer marketing. He was responsible for setting up the consumer marketing team and building a performance marketing approach across the region. His previous professional experience includes also positions with Barclays Bank Plc., India as director and head of credit cards and with Citibank N.A., Asia Pacific, as director portfolio management and head of business development and sales working across the bank’s 12 Asia Pacific markets. Yogesh Sangle holds an MBA from the University of Chicago - Booth School of Business, a Masters Degree in Management Studies in the field of Marketing, and a Bachelor of Engineering from Bombay University. Mr. Ramasamy K. Veeran is the Founder and Managing Director of Merchantrade Asia, a full-fledged money services provider with the largest branch and agent networks in Malaysia with a strength of 800 staff. 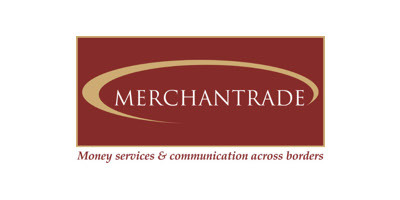 Merchantrade services includes remittance, currency, payment and mobile services business. Currently also serves as the President of The Malaysian Association of Money Services Business. Danny Leong, joined e-pay (M) Sdn Bhd (e-pay), a wholly owned subsidiary of EPY Capital Holdings Limited in 2010 as the Chief Operating Officer, bringing in new talent and ideas to position e-pay as the largest mobile prepaid reload network provider in Malaysia. He was subsequently promoted to the role of Chief Executive Officer ("CEO") for the Malaysia business in January 2012 to spearhead the aggressive and regional growth of the Company. 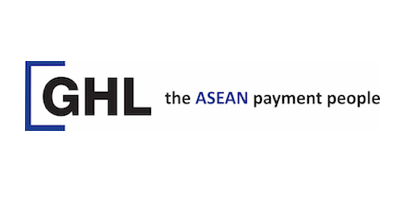 With GHL Systems Bhd acquisition of e-pay in 2014, Danny assumed the role of CEO for GHL Malaysia, leading both the GHL Malaysia as well as the e-pay businesses. He was tasked to merge the operations of both the entities while developing and executing strategies to increase GHL presence in Malaysia through payment services provided by both the businesses. In June 2015, he assumed the leadership role of GHL Groups Strategic Planning unit to focus on defining the group’s strategy as well as implementing them. He was also tasked to oversee the GHL Thailand business as well as start up the GHL Indonesia business in March 2016. Danny was appointed Group Chief Executive Officer on 1 December 2016. Steve has over 40 years experience with Technology companies in the UK, Middle East and Asia. He was previously the Managing Director of Unisys in Hong Kong. Founded in 2017, Curlec is a FinTech company that makes it easy for businesses to collect recurring payments. It is a simple solution for collecting Direct Debit payments online, allowing businesses of all sizes to be in control of when they get paid. Curlec is the first independent software company in Malaysia to process online interbank Direct Debit transactions. Lauren Jones is currently Editor of InstaPay, an online publication focused on instant payments developments around the world. She is an experienced payments professional with a particular specialisation in standardisation and regulation. She was formerly Head of Standards at the UK payments association, Payments UK (now UK Finance) where she led the UK delegation at ISO TC68 and the ISO 20022 RMG, the highest assignment body for ISO 20022. She also represented the UK within European and global instant payment and open banking forums. Within her previous roles she has been influential with government and regulators on issues such as standardisation for blockchain and APIs. Lauren has a BA Hons degree in Political Science from the University of Nottingham. TransferWise is a financial company for people and businesses that travel, live and work internationally. With a simple money transfer platform and borderless accounts, it makes managing your money quick, easy and painless. TransferWise customers send over £2bn every month using the service, saving themselves £2m every day. It’s attracted $397m from investors such as world’s largest VC firm Andreessen Horowitz and Sir Richard Branson. Prior to starting TransferWise, Lukas worked at the FCA, initially setting up the FCA from its predecessor, the FSA. Lukas then worked on the FCA's mandate to promote competition. Most recently he led the Innovation Hub, a new team he set up to promote innovative companies in financial services. Katrina is Head of Engagement at New Payments Platform Australia, where she is responsible for market engagement, working with financial institutions, prospective Overlay Service providers and other interested parties to grow volumes and services on the New Payments Platform. Katrina previously worked for American Express in Sydney, Singapore and London in their Global Network Services division, where she was responsible for growing third-party issuing and acquiring volumes in multiple markets across South East Asia. Katrina has also worked for National Australia Bank, managing their Self Service Channel around the world, and was a management consultant with Booz Allen & Hamilton in their Financial Services Practice in London and Melbourne. Katrina has over twenty years of experience within the financial services industry and has extensive global expertise in identifying and developing business and growth strategies, business development and relationship management. Wendy Sun is the Sr. Director of Tencent Fin-Tech Group. She leads the strategy partnership development, key account management in overseas payment markets. She and her team are devoting to bringing Tencent’s FinTech experience and solution to partners worldwide. Wendy also look after the international expansion and in-depth partnership opportunities for Tencent. Prior to joining Tencent, Wendy served as the Head of Business Development for Grab Pay. She oversaw business strategy planning and generated Go-To-Market plan for 8 markets across Southeast Asia. She also built up and led the merchant develop team for SG, MY, ID markets, and secured the KA merchants across the region. Prior to Grab, Wendy served as Head of Business Development for Alipay International Business in the SEA region, with a focus on SEA Business Development. In this role, Wendy was responsible for developing innovative and localized payment products and services catering to consumers in the APAC region by working with strategic partners. Wendy holds a master’s degree in economics from Fudan University. She also serves as honorary advisor (strategic partnerships) for AI Singapore. Joe McGuire is the Founder and CEO of emerging Malaysian Fintech MyMy. This is Joe's second fintech after Airwallex, a Sequoia and Tencent backed business who recently raised a B round of US$80 million. A recognised leader with 10 years of experience in the financial sector, he has developed a broad set of skills across sales leadership, capital raising and financial regulation. Prior to joining Airwallex, Joe was the youngest State Manager for Australia's largest bank CBA, an area covering roughly 30% of Australia's population. Outside of his core role he is the head of fintech mentoring at Australia's YBF incubator and regular commentator on all things Fintech. Duncan is a Partner in the Retail & Business Banking Practice of Oliver Wyman based in Singapore and has worked extensively with banks, fintechs and Private Equity firms in the region on a range of retail payments topics. His career combines consulting experience, leadership roles in strategy at an international bank, and line management experience in running retail banking businesses in Asia and Africa. Duncan moved to Asia in 1999 and has been based in Singapore, Hong Kong and Japan, and has worked extensively across SE Asia, Greater China and South Asia. Mayumi specializes in financial inclusion, microfinance, SME finance, microinsurance, remittances and payment systems, banks and financial sector reform, and disaster risk finance. Prior to ADB, she worked for the UN International Fund for Agricultural Development (IFAD). 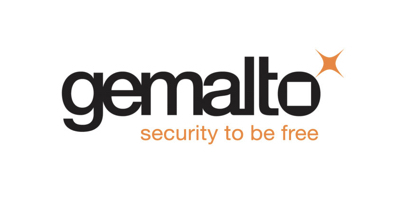 Michael Zerelli is currently the Vice President Digital Sales, Asia Pacific at Gemalto. He is in charge of driving and delivering Banking and Payments innovation for financial institutions in the region. Previously, Michael is the head of telecom & Banking for Oceania and Director of Gemalto Australia. Heading a team across Sydney and Melbourne, he is in charge of managing and supporting Gemalto’s telecommunication & banking customers and partners in the region. Prior to this role, Michael was Head of Telecom Solutions Sales for South Asia and Oceania and was based in Singapore. He has been with Gemalto for more than 15 years and has held various management positions within the company and SchlumbergerSema in Asia. Michael holds a Masters Degree in Engineering from Conservatoire National des Arts et Métiers in France. Andy (Qingyu) Yao joined Ant’s Security and Risk Management Department in 2016. He is responsible for IFAA (Internet Finance Authentication Alliance) Marketing and Project Management, focusing on establishing industry standards of Network Identity Authentication in biometrics, intelligent devices and IoT. Prior to joining Ant Financial, Mr. Yao had almost 10 years’ experience in business and marketing management at Leopard Imaging in Silicon Valley. Mr. Yao holds an MBA degree and PMP certification. Nick is in his 15th year as a transaction banker, all spent with HSBC in Malaysia and Hong Kong. He joined HSBC in Malaysia as a graduate trainee, and went through a variety of roles within Sales, Strategy, Business Management, Product and country management. During his time in Malaysia, he led several initiatives within the firm, including partnering with a host of government agencies to promote Malaysia as a regional finance hub. In his current Hong-Kong based role as Regional Head of Payment Products, he is responsible for HSBC's Payments strategy and execution across 18 Asian markets. These include deploying innovative propositions, evaluating fintech and vendor partnerships, streamlining existing products and processes, as well as a rigorous focus on risk management. Nick is passionate about employing technology to solve client problems, and feels blessed to be in the Payments space during this pivotal moment for the industry. He holds a Bachelor of Information Systems from the University of Melbourne, and a CertICM (Distinction) from the Association of Corporate Treasurers UK. He is also active in the Hong Kong Fintech Association’s Payments committee. George Gesek is the founder and CEO of NOVARION.systems, the high performance computer maker, who wants to create the first commercially successful Quantum Computer within the next decade. After his studies of physics at the Technical University of Vienna, Gesek entered the ICT industry to foster the beginning merge of computer and quantum science. This milestone of humanity seems to be reached now with the state of the art production techniques in the nanometer realm. As an avid technologist and recognised in Forbes Asia's first 30 Under 30 list in Finance & VC, Johnny has played a leading role in developing the FinTech agenda across the region; educating numerous organisations, regional banks, national regulators, and government departments on how they can understand and adopt blockchain technologies and new FinTech initiatives. Johnny was previously a co-ffounder of Neuroware.io, Malaysia’s first blockchain company and the first Malaysian-based startup to be accepted into the 500 Startups Accelerator in Silicon Valley. He was invited to speak at Malaysia’s 2017 National Budget Discourse where an extra RM1 billion was made available to startups and is currently a business consultant at Asia's leading FinTech accelerator, SuperCharger, as well as an advisor to numerous projects. Mr Peter Schiesser was appointed as the Managing Director of MyClear on 10th December 2012 and subsequently the Group Chief Executive Officer of Payments Network Malaysia on 1st August 2017. Mr Schiesser spent most of his career with the Australia and New Zealand Banking Group (ANZ) where he held various key positions and established an impressive track record across a variety of disciplines including strategy & planning, product & business development, consumer finance, card services, electronic banking, payment systems, information technology and banking operations. Previously, Mr Schiesser served in a General Management capacity with Sacombank, one of the leading banks in Vietnam, where he was instrumental in transforming their Cards Division into a modern and profitable business. Subsequently, as Chief Information Officer, he drove the strategic transformation of IT in support of the bank’s ambitious growth objectives. Mr Schiesser holds a Master of Business Administration and Bachelor of Applied Science degrees from the Royal Melbourne Institute of Technology (RMIT) in Australia. Gerry Gaetz is President and CEO of Payments Canada. Since joining Payments Canada in 2013, he has been leading the transformation of the organization, including its enabling legislation, governance, internal capacity and business strategy, as well as the modernization of the Canadian payment system. Prior to Payments Canada, Mr. Gaetz held a number of executive roles at the Bank of Canada, including Chief of Currency, where he was responsible for Canada’s new polymer banknote series, Chief of Banking Operations, where he led the redevelopment of the core banking system, and Chief of Corporate Services. Mr. Gaetz is a member of the International Council of Payment Association Chief Executives, a director of Fortress Paper, a publicly traded company, and a director of Landqart AG. He is a former member of the Banknote Ethics Initiative Accreditation Council. He also co-led the flagship leadership program at the Gestalt International Study Center in Massachusetts for three years. Mr. Gaetz holds an MBA from the University of Ottawa and is a Chartered Professional Accountant. Letitia is an independent consultant providing business management services to clients including BlackRock, Bank of America Merrill Lynch, Barclays, HSBC, and MUFG Bank. Specialising in cross-country compliance and regulations, working with numerous regulators globally and across multiple jurisdictions. Letitia is currently serving as an independent expert to the European Commission providing monitoring, evaluation, and policy advice on innovation and economic development. Listed on the Innovate Finance Women in Fintech 2017 Powerlist, Letitia is an advocate for institutional adoption and engagement of FinTech, RegTech, emergent and disruptive innovation. Isaku Endo is a Senior Financial Sector Specialist in Finance and Markets Global Practice at the World Bank. He advises governments on financial sector development policies and regulatory issues. He is specialized in financial market infrastructures, payment systems, and remittances. Currently, based in Manila, he serves as a financial sector focal point for the Philippines. Prior to this, he worked in the Financial Market Integrity Unit where he worked on anti-money laundering and combating the financing of terrorism, remittances issues and access to finance. David Lee Kuo Chuen is a Professor of Fintech and Blockchain at the Singapore University of Social Sciences. He was a visiting Fulbright Scholar at Stanford University in 2015. He founded the hedge fund group Ferrell Asset Management and was a pioneer of the Asian REITS industry, and has a research interest in how financial technology will transform global financial services. He is on the board of listed companies and charitable organisations. He consults for financial institutions, works closely with startups and founded Left Coast and Infocorp recently. He received his BSc (Econs), MSc and PhD from the London School of Economics and Political Science. He has edited and written five books on Asia Finance, Blockchain and Digital Currency. Paul Brisk has over twenty-five years of experience working in consumer and retail payments. Most of this time has been spent concentrating on emerging payment technologies such as EMV chip, contactless chip, mobile payments and secure payments over the internet. Paul is one of the founders of Digital Payments Asia-Pacific – a Singapore based company, and is Managing Director of the Jakarta based offshoot Pembayaran Digital Indonesia. Both companies are committed to delivering knowledge based services to payment ecosystem stakeholders to aid in the transformation to digital payments. Paul was based in Kuala Lumpur, Malaysia, for 3 years to August 2017, working on behalf of the Association of Banks in Malaysia, to manage the market level migration from signature to PIN at POS. Prior to Digital Payments Asia-Pacific, Paul established Cotignac Consultancy Services Limited in 2002 – an independent consulting and services company registered in New Zealand. Paul’s payments career started in the early 1990s with a decade at Visa International in both Asia Pacific and Europe. Now based in Jakarta, Indonesia, Paul is focused on applying his experience and knowledge to add value and assist the rapid and exciting transformation to digital payments currently underway in South East Asian markets. Rahul Bhargava is a Director for Payments Markets Initiatives for the Asia Pacific region, and is responsible for a range of SWIFT’s strategic payments initiatives. During his previous career, Rahul has undertaken various leadership roles across banking, payments, fintech and consulting firms, and has had the opportunity to work across Asia Pacific, the Middle East and Europe in diverse engagements. Prior to joining SWIFT, Rahul was Head of Asia Pacific Financial Services Practice and Strategic Projects for NTT Data, where he was responsible for establishing the banking & payments related product and service portfolio, and leading strategic regional initiatives across APAC. Previously, Rahul has played a key role in regional core transformation programs for banking clients as a part of Accenture’s ASEAN Financial Services practice and also led Core Banking & Payments Consulting Practice within CSC India (previously Covansys). Rahul’s initial career included Product Management for the online inward crossborder remittances portfolio for ICICI Bank (India’s largest private sector bank). In continuation of his Banking, Payments and Digital experience, he has also subsequently led the Retail Banking & Digital Channels program portfolio for the Royal Bank of Scotland in Dubai. Rahul has an MBA in Information Systems & Marketing. Edward (Eddie) Haddad is the Managing Director of SWIFT, Asia Pacific and leads the commercial activities of SWIFT in the region. Serving some1800 customers comprising Market Infrastructures, Financial Institutions and Corporations across six sub regions (China, North Asia, Japan , ASEAN, Oceania and the Indian Subcontinent). He also manages SWIFT’s Compliance, Corporate Sales and Alternative Sales teams in the region. Eddie is a member of the Asia Pacific management team, reporting to Chief Executive Officer Alain Raes. With more than 20 years’ experience in the financial services industry, Eddie has held a variety of leadership roles across multiple disciplines, including sales, marketing, business development, finance and operations in IT, Financial Services and Media organizations. He has extensive knowledge of the Asia Pacific markets, where he has been living and working for more than 15 years. Eddie holds a Bachelor’s Degree in Business & Finance from Monash University and he is a member of Institute of Chartered Accountants in Australia. Rachel Hunt is Market Strategy Director, Banking Segment for ACI Worldwide. Based in Singapore, Rachel is responsible for strategic marketing for the Financial Services Industry in Asia Pacific and rest of the world. Rachel has 20 years experience in financial services technology having held roles with banks, industry vendors including Temenos and Perot System, as well as having provided consultancy services for over a decade at independent research firms, such as IDC and Tripliii. In her career, she has worked in various locations across the US, Europe and Asia. Rachel brings a diverse and extensive experience from the fintech industry and is a prolific conference speaker focused on innovation in the payment sector. Prior to joining ACI Worldwide, Rachel advised banks and fintech companies on their go-to-market strategies as well as provided key insights into market directions.